Every time we pick up a golf magazine we read about increasing power through speeding up the clubhead. 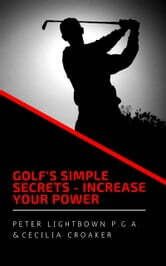 However, whenever we try and directly speed the clubhead up, we actually lose power because we become disconnected from our body’s central core, which is the source of our power. We will address these issues and fixes in this book.